SeSaMO XIII annual conference in Catania will feature three outstanding keynote speeches…so let’s introduce our distinguished guests! 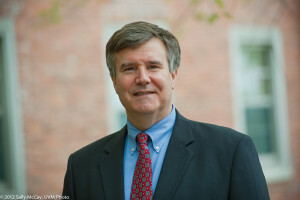 F. Gregory Gause, III is the John H. Lindsey ’44 Chair, professor of international affairs and head of the International Affairs Department at the Bush School of Government and Public Service, Texas A&M University. He also is a non-resident senior fellow at the Brookings Doha Center and sits on the board of the Arab Gulf States Institutes in Washington, DC. He is the author of three books and numerous articles on the politics of the Middle East, with a particular focus on the Arabian Peninsula and the Persian Gulf. During the 2009-10 academic year he was Kuwait Foundation Visiting Professor of International Affairs at the Kennedy School of Government, Harvard University. In spring 2009 he was a Fulbright Scholar at the American University in Kuwait. In spring 2010 he was a research fellow at the King Faisal Center for Islamic Studies and Research in Riyadh, Saudi Arabia. Professor Gause, III is one of the editors of the Cambridge University Press Middle East Studies series. 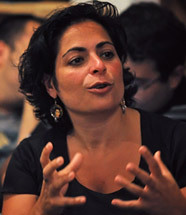 Laleh Khalili is a Professor in Middle Eastern Politics at the School of Oriental and African Studies (SOAS) at the University of London. She received her PhD from Columbia University. Her primary research areas are policing and incarceration, gender, nationalism, political and social movements, refugees, and diasporas in the Middle East. Professor Khalili’s most recent research project engages the politics and political economy of war and militaries as it intersects with infrastructure, logistics and transport with specific focus on the Middle East. Laleh Khalili’s first book, Heroes and Martyrs of Palestine: The Politics of National Commemoration(Cambridge 2007) drew on ethnographic research in the Palestinian refugee camp of Burj al-Barajna in Lebanon, whole her most recent book, Time in the Shadows: Confinement in Counterinsurgencies (Stanford 2013), drew on interviews with former detainees of Abu Ghraib, Guantanamo Bay, and various Israeli detention camps and prisons – as well as military officers, guards, and interrogators.Time in the Shadows was the winner of the Susan Strange Best Book Prize of the British International Studies Association and the 2014 best book award of the International Political Sociology section of the ISA. Farhad Khosrokhavar is director of studies at the École des hautes études en sciences sociales in Paris and has been recently named director of the Centre d’Analyse et d’Intervention Sociologique (CADIS, EHSS-CNRS). His researches have focused on the sociology of contemporary Iran, the situation of Muslims in France and broader theoretical issues concerning the philosophy of social sciences. 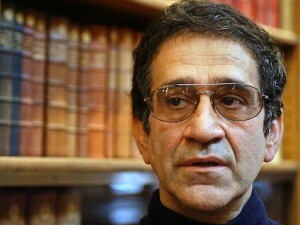 After publishing three seminal volumes on the Iranian revolution during the 1990s (L’Utopie sacrifiée, L’Islamisme et la mort, Anthropologie de la révolution iranienne), professor Khosrokhavar has studied the dynamics of global jihadism and youth radicalization among Muslim communities, publishing L’Islam dans les prisons (Balland 2004) – that has aroused a wide public debate in France – and more recently Radicalisation (Editions de la Maison des sciences de l’homme 2014). His op-eds have been published on Le Monde, The International New York Times, The Huffington Post and OpenDemocracy.